Great prices! Budtenders made excellent product suggestions. Very friendly! Thank you Joy, for the great rating and review! We strive to make sure all our patrons leave with what they want and need. Just tried the chocolate hashberry,wish I bought more! 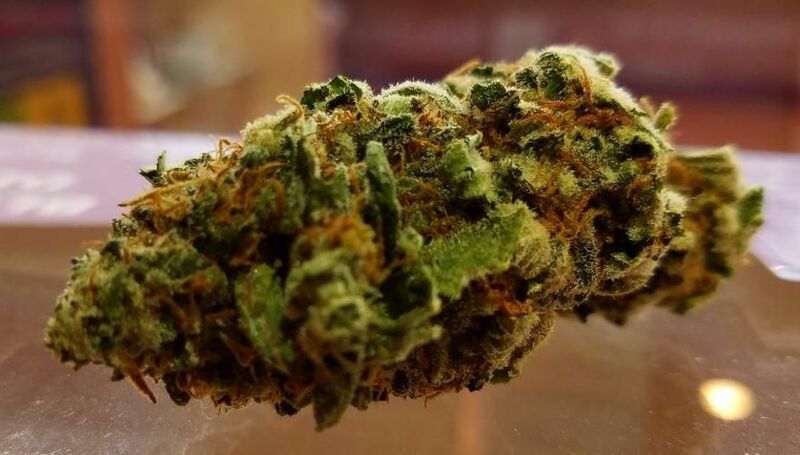 This strain is not for the novice smoker. Extreme cerebral high and very relaxing sedative stone. My favorite strain so far out here in Oregon. I'm gonna miss you guy's!! Thanks for the great weed and concentrate I'll definitely be back again next year! Redeyesinwaldport, you are awesome! When you come back next year, mention your review for $10 off any glass or accessories! Happy New Year! The guys are pretty consistently nice and knowledgeable. I love how the store is painted inside and out <3 Best dispensary in Depoe Bay and super close!! RivergirlOR thank you so much for the review! When you come back, mention your review and get $10 off any glass or accessories. For a small town location these guys have a HUGE selection. The budtender pointed me to some quality mendo breath flower and the concentrate selection was great. something for everyone. BobGnarly541, we appreciate the kind words! We try and have the best selection, prices and customer service on the Oregon Coast. That Mendo Breath is fire! When you come back, mention this review and get $10 towards free glass and accessories! Needs to keep menu up to date. 3 times I have researched their menu looking for cbd flower which was stated as available. I showed up, strain I made special trip to their dispensary for, was not in stock. Please take your position in community seriously. You need to carry more cbd products. MANY of us are using cannabis MEDICALLY! Stormymonday, we strive to keep our menu up to date. We always carry 3 strains of CBD flower in stock at all times. We have over 25+ CBD items in stock at the moment from tinctures, edibles, flower and cartridges. If you are looking for a specific CBD item, please let us know and we hope we can provide you with the items you are looking for! wwnnn_vdot, thank you for much for the kind words. On your next visit in, enjoy $10 towards glass or accessories. Thank you Draco78 for your great rate and review! We are here to help with all cannabis needs for all who visit us. We look forward to your next visit. Michael, thank you for the review! Mention your review next time you come in and get a $10 credit towards glass and accessories. I love shopping in here. the guys who work here are awesome and treat me like family. gypsykharma, you rock! Next time you come in mention you left a review and get $10 towards glass! I love my neighborhood pot shop! I've been buying most of my weed from here since they opened, always friendly and helpful. Thank you guys! jebus12, thank you for the kind words! Next time you come in, mention your review and you will get a $10 credit for glass and accessories.